How are developers attracting property buyers? Dubai has been built by bringing to light the fantastic vision of the developers that dared to dream big. Real estate, often seen as the scale on which the city’s overall economic soundness is judged, continues to be going strong and gathering stability by attracting foreign investment worth billions and diversifying its offering from luxury to upscale and affordable properties, aimed at the growing mid-segment population. Despite a recent softening, real estate continues to be a preferred asset class among investors and the attractive payment plans and innovative offers from developers have gone a long way in securing buyer interest. Major developers are now providing a variety of cheaper, alternative homes suitable for a whole range of buyers. Nshama is offering apartments starting from Dh443,000, Azizi from Dh390,000 and Danube from as low as Dh320,000. Even Damac, once seen as an exclusively high-class property developer, has units on the market starting from as little as Dh586,000. Perhaps the most impressively-priced developments belong to Dubai South, who has revealed that they plan to have units going on sale starting from Dh280,000. A fundamental component to keeping buyers interested and preventing them from going to the secondary market, developers are now ramping up their efforts to improve their payment plans, having noted that it is the most effective way in attracting buyers. Some of the Dubai-based developers frequently offer four and five-year post-handover payment plans in premium locations and can even go up to an impressive seven-year post-handover payment plan. An innovative way to market developments, lease-to-own schemes are now increasingly becoming more popular among developers. 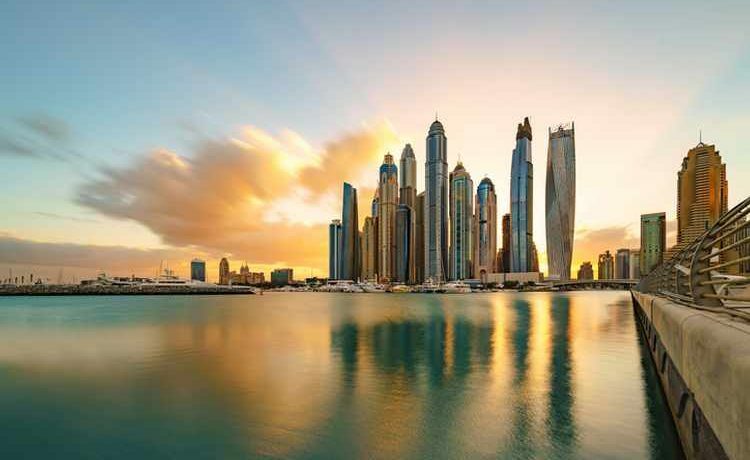 A great option for buyers that have not been able to obtain a mortgage where a large down-payment was needed, the promising incentive could further assist in stimulating Dubai’s flat real estate market, as well as helping to shift the significant amount of unsold properties surrounding the city. In a bid to stand out from the crowd and shine in a highly competitive market, some developers are doing a lot more than just offering stretched-out payment plans, and have turned to waiving Dubai Land Department registration fees, as well as offering zero service charge fees for a specific amount of time. Real estate developers are even providing up to a four per cent discount on selected properties. One developer is also easing the concerns of buyers by offering repayments and rent-free stays to cover job loss. The clever exit-scheme comes with two different options – one being where buyers can reside in their houses for up to three years once the project is ready and units are handed over in 2020, where in the meantime they will not need pay rent as the payments made until that point will be counted towards that. The alternative option comes into play when buyers can reclaim a portion of the down payments made until the time of the handover. So, what does the future hold for incentives being offered? Developers are realising the need to go above and beyond what is expected of them. However, as exciting as freebies and discounts are, it is likely that organised and structured payment plans will be the winning factor in stimulating investors to buy.